The O'Rourke rally, according to organizers, will "show the country the reality of the border -- a vibrant, safe, binational community that proudly celebrates its culture, history, diversity and status as a city of immigrants." "While some try to stoke fear and paranoia, to spread lies and a false narrative about the U.S.-Mexico border and to demand a 2,000 mile wall along it at a time of record safety and security, El Paso will come together for a march and celebration that highlights the truth," the release from O'Rourke adds, in a paper-thin veiled reference to Trump. (Eric Gay/AP) Rep. Beto O'Rourke, the 2018 Democratic Candidate for U.S. Senate in Texas, makes his concession speech at his election night party, Nov. 6, 2018, in El Paso, Texas. Trump's rally, his first of 2019, will take place at the larger El Paso County Coliseum, while O'Rourke will speak at the Chalio Acosta Sports Center. The two spots are just a literal stone's throw from each other. O'Rourke attempted to knock Ted Cruz out of the Senate in last year's midterm elections, but came up short despite a wave of national support. Feb. 11 is four days before the deadline for Congress and the president to come to an agreement over spending, including Trump's desired border wall, to avoid another government shutdown. 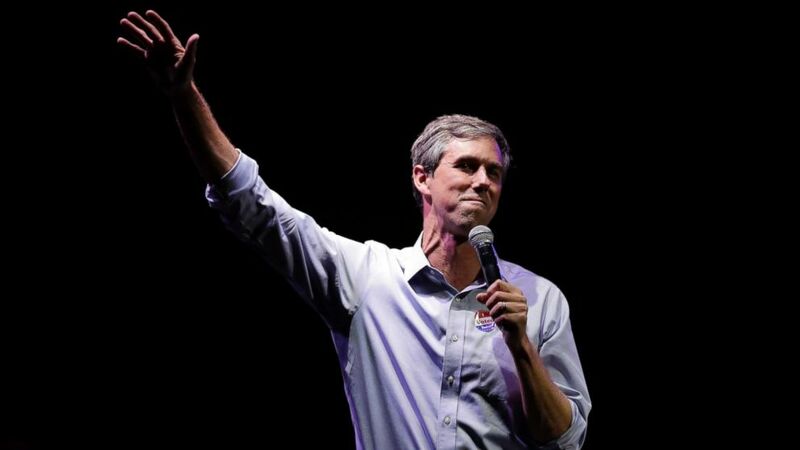 The 46-year-old O'Rourke has been candid about whether he is going to run for president in 2020. He sat down for an interview with Oprah Winfrey in New York on Tuesday in which he said he'd make a decision on running "before the end of the month." "For the last seven years, my family hasn't seen me," he said. "That's the far more important responsibility." 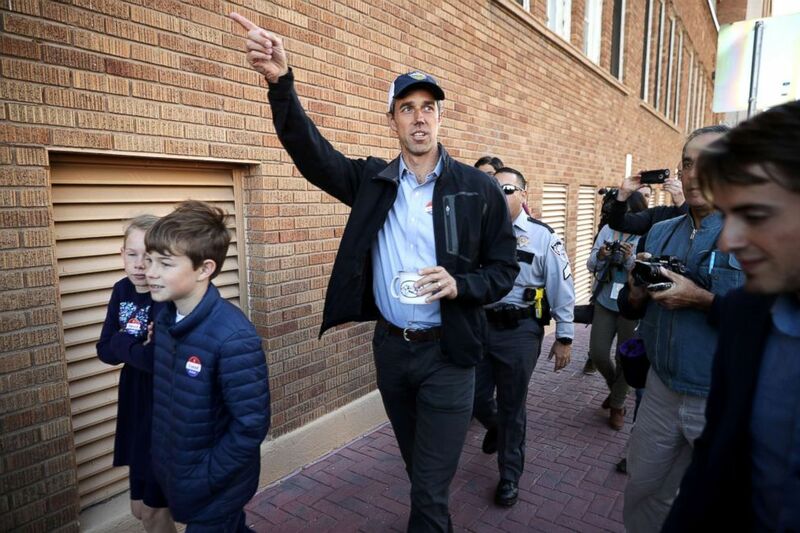 (Chip Somodevilla/Getty Images, FILE) Rep. Beto O'Rourke leaves his neighborhood polling place after voting on Election Day, Nov. 06, 2018 in El Paso, Texas. Rep. Veronica Escobar, who succeeded O'Rourke in Congress representing the 16th District, sent a letter to Trump on Thursday calling for an apology to El Paso over the president's comments about the city in his State of the Union speech. "My office stands ready to facilitate a visit and provide the information necessary for you to get the facts and understand the truth," she wrote.